This figure became available as a send away on Return Of The Jedi 48 back card, but made it?s first carded appearance on the Return Of The Jedi 65 back card. Comments: Nien Nunb certainly was world renowned for his keen fashion sense, and shortly after the battle of Endor went on to becoming the galaxy?s number one designer of humanoid male active and formal wear. 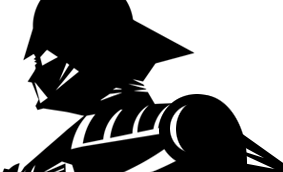 Good thing too, since Mama Nunb?s boy couldn?t even fly a Corillian freighter through a Death Star service tunnel without ripping off a sensor dish? 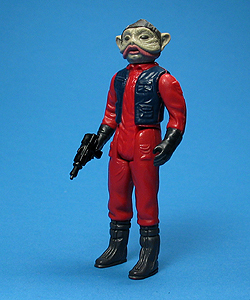 Major Variations: Though all vintage figures have minor variations, the Nien Nunb figure has no known major variations. The figure was however moulded in a few slightly different shades of red and with minor paint shade variations.